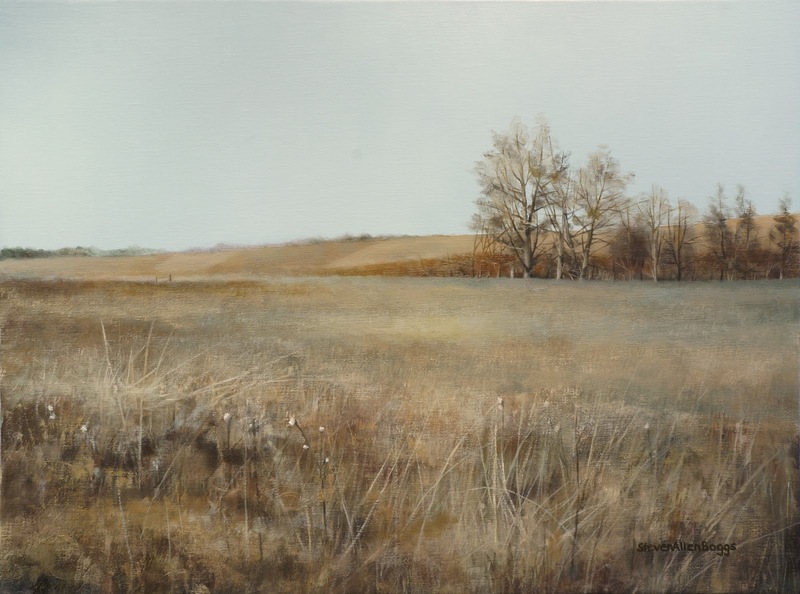 Grassland Winter 18 in. x 24 in. Oil On Panel - BID ON OR BUY THIS PAINTING. 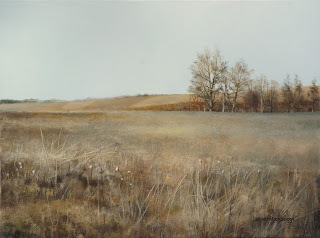 To me this is classic rural winter terrain in Tennessee, lots of ocher, umber, sienna and grays. Winter is one of my favorite times of the year to paint landscapes, you are really able to get to the core of the structure of everything. This scene is on some of our family property near the Kentucky border. The property hasn't had maintenance since last summer so its completely rough and wild. We are cutting it later this week so this was the last chance this winter for me to paint this type of scene with the high grass. I hope that you enjoy the painting.